Here at Silsoe Odours, we deliver the very best in odour control training, at the Odour Study Day. For this reason, we’re therefore delighted that the course has been recognised by a number of organisations. Namely, the Chartered Institution of Water and Environmental Management (CIWEM), the Institute of Air Quality Management (IAQM) and the CPD (Continuing Professional Development) Accreditation Service. As part of its strategic objectives, the IAQM promotes the ongoing education and training of its members. It undertakes reviews of short courses to ensure the standard and quality of the training provided. As a result, it has now given endorsement to the Odour Study Day. “Air quality professionals carry out dispersion modelling of odour using the same modelling software as for air quality assessments. However, the assessment of odour differs in how it is monitored, issues around complaints and subjectivity, and how it is assessed and regulated. Therefore it is important that air quality professionals are aware of these issues. “The course is well put together with clear presentation materials and a good balance of theory and real-world examples, including a case study and laboratory visit to consolidate learning. The use of these case studies and the opportunity to do a practical test is to be commended. 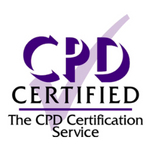 Furthermore, the Odour Study Day has also now received CPD-Certification following a thorough assessment. This is expressly awarded in recognition of the highest quality training courses. 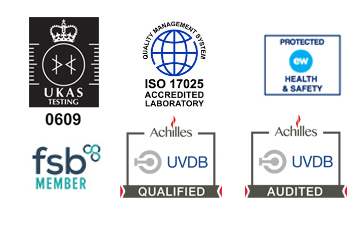 For this reason, we are extremely proud to be the only provider of CPD-certified odour management and control training in the UK. We developed the Odour Study Day based on the extensive experiences of odour professionals. First of all, we focus on expanding your theoretical knowledge and practical skills relating to the management and control of odours. The course consequently gives a comprehensive overview on a range of issues relating to odour. Specifically; measurement, modelling, assessment, abatement and regulation. So this course is especially beneficial if you are involved with any aspect of odour management. In particular, it benefits regulators, local authorities, consultants, air quality professionals, site managers/assessors and odour abatement equipment suppliers. Our experienced team of odour experts provide their own specialist insights while delivering your odour control training. Similarly, they’ll use industry-specific case studies to set the issues discussed into context and outline the technicalities of odour management. They will facilitate interesting discussion throughout the day. As part of the Odour Study Day, you’ll have the opportunity to visit the Silsoe Odours UKAS-accredited odour laboratory. Here, your odour control training will take a practical turn! You’ll get to experience a taster of our Odour Sensitivity Testing. As a result, you’ll go away with an idea of your individual sensitivity to odours. This is certainly one of the most popular parts of the day. What’s Included In My Odour Control Training? First and foremost, it’s important to us that we cover the challenges you are currently facing and/or are most interested in. As a result, we will invite you to share with us throughout the day. In addition, we’ll encourage group discussions and answer your questions as we go. Read more delegate testimonials here. 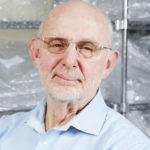 Robert is a renowned odour specialist with over 40 years’ experience at the forefront of the odour industry. Perhaps most notably, Robert acts as the UK expert for Technical Committee CEN/TC 264 “Air Quality”’. The workgroup is responsible for the ongoing development of the European Standard EN13725. Steve is a nationally renowned authority in the field of odour and emissions. 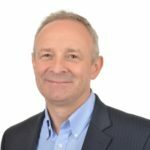 He specialises in odour analysis, emissions, odour impact assessment, odour nuisance, environmental control and ‘Best Practicable Means’ assessments. Steve also has extensive expert witness experience. 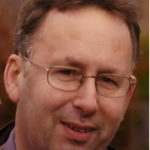 Phil joins us from Cranfield’s Centre for Bioenergy & Resource Management. He has a PhD in Innovation & Technology and Assessment. 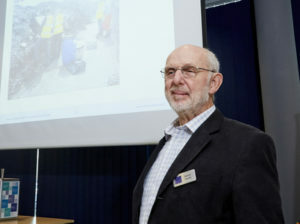 Not to mention, Phil has developed a programme of research studies, assessing the impact of waste management on air quality and neighbouring communities. 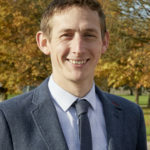 James has a wealth of experience in on-site sampling as a trained assessor, covering all types of odour emission sources. He is exacting in his approach to rigorous and well-designed sampling methodology, in line with the European Standard EN13725. Furthermore, he is also the Deputy Laboratory Manager at Silsoe Odours. In addition, we can facilitate private Odour Study day training sessions, as well as off-site training on or near your premises. You’ll probably find this useful if you need to provide odour control training for entire teams simultaneously. Or you might be located some distance from the Silsoe Odours laboratory. Our ‘sniff box’ provides a simulation of the laboratory experience. This gives us the unique ability to deliver the full Odour Study Day experience off-site. Find out more here. Finally, we are happy to tailor training for your individual requirements. Please get in touch so we can discuss your individual requirements.